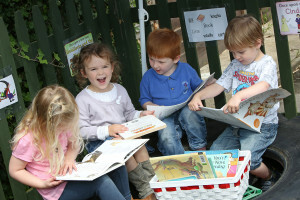 Great Tey Pre-School welcomes all children aged from the age of two to school age. The pre-school has been running over 45 years. We were rated ‘Good’ by Ofsted in March 2018. Please see our report on the right hand side of this page. 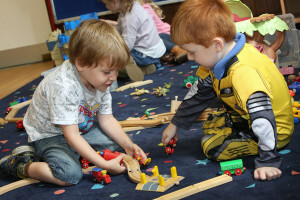 Great Tey Pre-School is 15 minutes drive from Stanway, and welcomes children from all surrounding areas. Our children go to schools in Great Tey, Marks Tey, Chappel, Stanway, Earls Colne and Fordham. We also run a baby and toddler group on a Wednesday morning, please click on the page on the left to find out all about it. Our dedicated team of practitioners and parents work together to provide a secure and stimulating learning environment, we would love to have you and your child join us. Our role in your child’s development is something we are passionate about, our staff members have a wealth of knowledge and experience that they bring to the pre-school. Our AGM will be held on Wednesday 12th at 9.15am in the small hall. Please pop along to see what the pre-school does, and how the committee help with the pre-school. There will be coffee and tea served. We have been working on on upgrading the garden. We are pleased to announce that it is finally finished! The children can benefit from all areas of the Early Years Foundation Stage, including Literacy and Mathematics in our refurbished garden. Please click on ‘read more’ for photos.